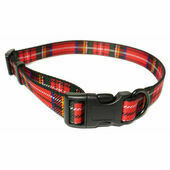 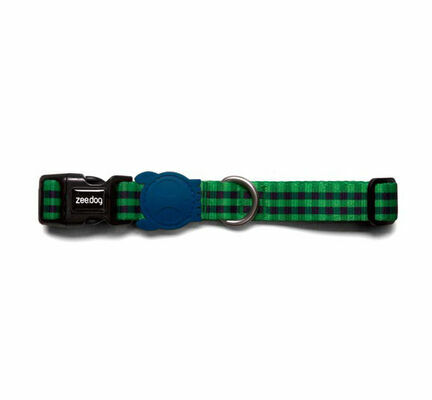 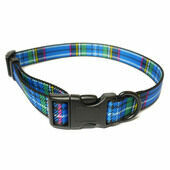 Embellished with a popular green and black tartan design as well as the striking Zee Dog insignia, the Zee Dog "Lumberjack" Dog Collar is made using a robust plastic material that is both amazingly durable and remarkably soft. 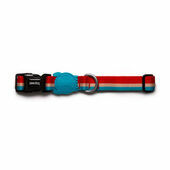 An excellent collar for pets that are in their element when being doted upon, these polyester dog collars come in three sizes and are designed so that they may be easily adjusted to suit dogs of any age or breed. 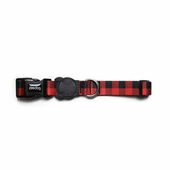 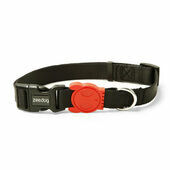 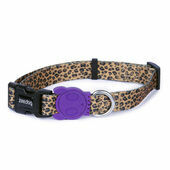 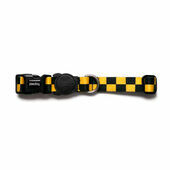 Designed with a 4-point locking system, the way in which the Zee Dog "Lumberjack" Dog Collar's buckle has been constructed ensures that it is as safe and secure as it can be, all the while remaining easy to adjust and comfortable to wear.